2009-2014: HBO’s Second Coming, or its Silver Age? I consider myself lucky for discovering HBO’s series during their Golden Age. Starting with The Sopranos, then moving on in short order to Six Feet Under, Deadwood, The Wire and Rome, showed me the potential of ambitious TV: ambitious in terms of direction, acting, writing, structure and production values. Even a more flawed offering like Carnivàle seemed infinitely more daring than most regular series with their standalone episodes, 20+-episode seasons and heavy padding. I still love HBO’s output during that time, but the problem of getting into something during such a strong period is that whatever follows is likely to disappoint. HBO still does strong programming, and I’d count miniseries like Generation Kill and The Pacific among their best, but then there are series whose premise wasn’t enough to keep them interesting for their entire run, like In Treatment, or guilty pleasures that increasingly become more guilty and lesspleasurable, like True Blood. I haven’t seen John from Cincinatti or Luck yet, but neither sounds like it measures up to the heydays of Tony Soprano, Al Swearengen, McNulty or the Fisher family. Boardwalk Empire is probably a good example of latter-day HBO. There’s no doubt that it’s a handsome series, with gorgeous production values. It’s well written, the cast is pretty much impeccable, it looks and sounds the part: this is quality TV. However, by comparison, it’s also average TV. For all its qualities (and there are many of them), it doesn’t have the freshness or the audacity of The Sopranos. It looks cinematic enough, but it meanders, feeling like a movie stretched out to several seasons. The same material, the same cast and crew, might be served better by a shorter format with more focus; instead, Boardwalk Empire feels somewhat rote at best and flabby at worst. 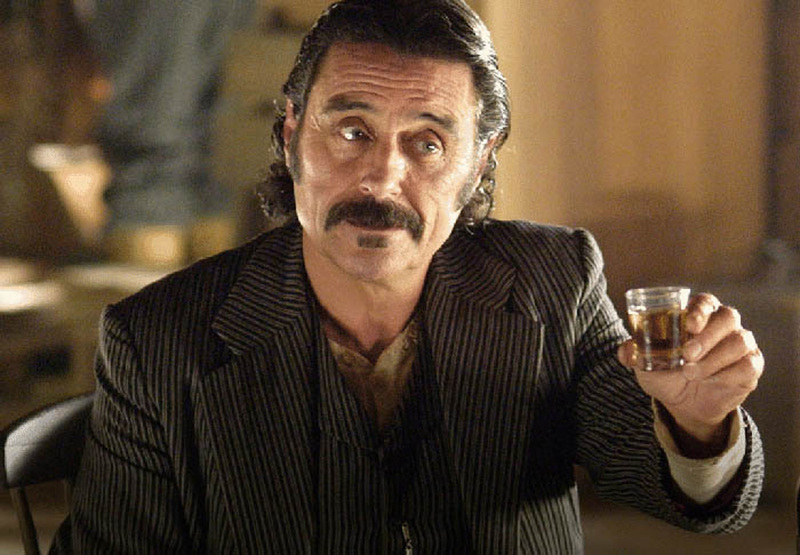 Compared to so much TV, it’s still great – but compared to the pioneers, the real greats, shows that had something to prove and proved it, it can’t help but disappoint. It’s a shame, because there are moments when it’s up there with its stronger predecessors: disfigured war veteran Richard Harrow going to the woods to kill himself, or Chalky White interrogating an increasingly frightened Klansman after a racist killing. There are scenes of wit and intelligence, there are surprising and thrilling moments, and there are those insanely intense eyes of Federal Agent Nelson Van Alden: we never know from one scene to the next if Michael Shannon’s Fed is a stony-faced straight man or a psychopath waiting to happen, or both. Most of the time, though, Boardwalk Empire feels like HBO by the book: there’s nothing wrong with it, it’s quality TV, but in being handsome and exquisitely crafted, it lacks the scathing punk attitude of The Sopranos or the squishy, pulsating heart and mock-Shakespearean grandeur of Deadwood, nor does it have the Dickensian scope of The Wire. One could argue that it’s its own thing, but I’m not sure yet what it brings to the table that is unique and that could only be done by this particular series. 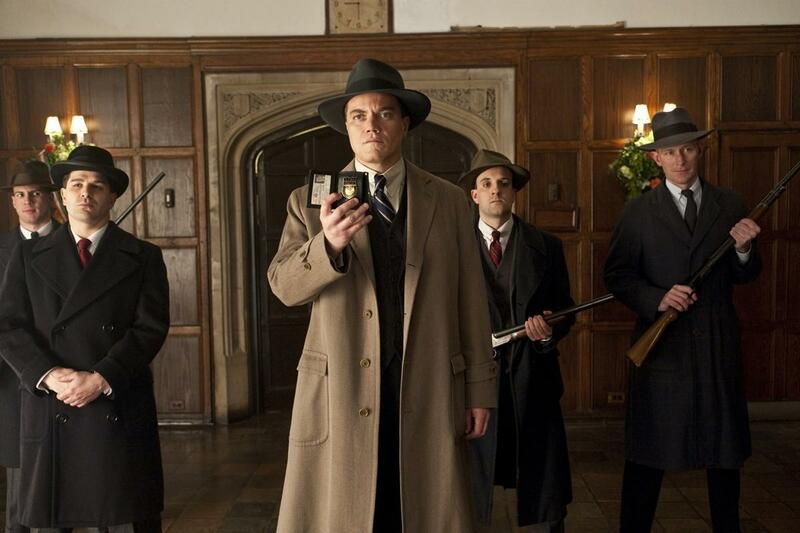 Boardwalk Empire is enjoyable, but it’s also strangely forgettable from one episode to the next. Yet, there is also Treme, which was broadcast around the same time. David Simon’s series of post-Katrina New Orleans suffers by a rash comparison to The Wire – it lacks the structural focus of Simon’s Baltimore saga, which had a main case and storyline each season to peg its themes onto. 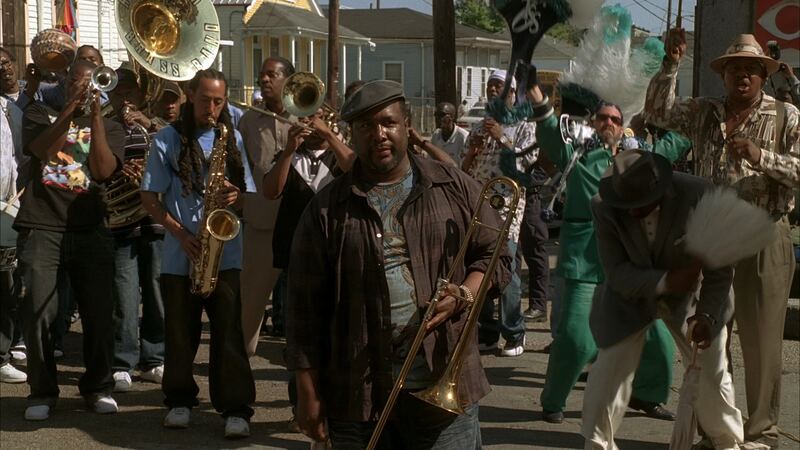 Admittedly, it took me a while to get into Treme, but I’m now almost through the second season and have fallen in love with its world and characters. It’s less showy than Boardwalk Empire, which aims at the burnished looks of a Once Upon a Time in America and tries to recall mobster drama from The Untouchables (the Prohibition setting) to The Godfather (the ghost of Fredo Corleone haunts various characters), but it has attitudes, heart and a righteous anger at what ails New Orleans, both from outside and from within. What seems flabby in Boardwalk Empire I’ve come to see as an asset in Treme: its many characters and plot strands all contribute to a portrait of a city that has been dealt a near-fatal blow but that is struggling to survive. As he did with Baltimore, Simon has crafted a passionate ode to a place and its people that does not shy away from its own faults but that is an example of essential, loving humanism. It’s not in the series’ individual moments, though there are many strong ones, but in their accumulation: each scene, each character, each moment of growth constitutes a brushstroke in Simon’s grand portrait of a city in struggle. Where Boardwalk Empire suffers from the TV format and practically calls for a more focused narrative format, Treme needs its sprawl to unfold its full effect. Simon’s rhythms and structures may not lend themselves to lean, muscular storytelling, but the way he portrays a society and culture could not function in a medium that calls for discipline and brevity. Is Treme up there with HBO’s greatest? Well, I’m not even halfway through the entire series, but I will say with confidence that few TV series have made me care as much about a place I’ve never been to and people I’ll never meet.